Application Links allows customers to seamlessly transition from cPanel to WHMCS using Single Sign-On technology. To activate it, begin by navigating to Setup > Application Links. In the Application Links overview, click the toggle switch that should currently be in the Off position to turn the feature on. 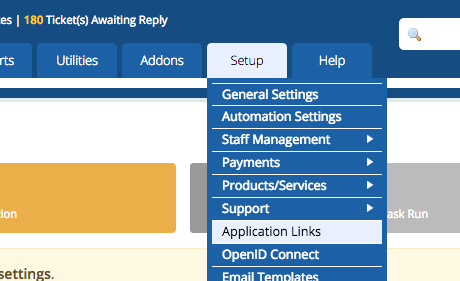 Enabling Application Links requires communicating with cPanel's API's and may take anywhere from 20 seconds to a couple of minutes. Upon completion, you should see the display update to reflect it is active as pictured below. 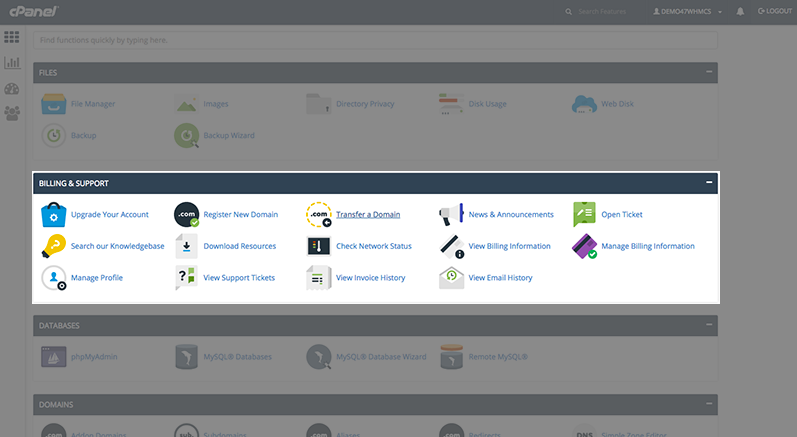 Once enabled, links will be visible as shown below for all existing cPanel accounts and will be provisioned automatically for any new accounts you create. Login to a cPanel account to verify.